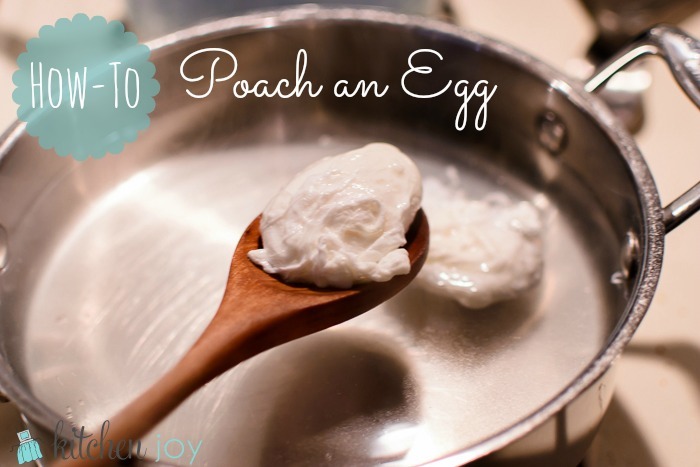 There are many different techniques floating around the Internet for how to poach eggs. Try as many as you want and find what works for you, but this is what works for me. I got this technique from The Dahlia Bakery Cookbook by Tom Douglas and Shelley Lance, and it is nearly foolproof. By using a bit more vinegar than some other methods, it allows the eggs to hold together better and not turn out sloppy and stringy. Directions: Stir together the water, vinegar, and salt in the saucepan and heat over medium heat until simmering, then lower the heat to a very gentle simmer. Tip the eggs one by one into the water, poaching in batches of up to 4 eggs at a time. Do not stir. Allow the eggs to set up for a few seconds, and then give them a gentle nudge with the wooden spoon to ensure that they’re not stuck to the bottom of the pan. Continue cooking the eggs at a very gentle simmer for about 4 minutes (for runny yolks), or longer if desired. To check the eggs doneness, simply lift it from the water using the slotted wooden spoon and touch it with your finger. The white should be set, but the center should bounce back a bit. When the eggs are done to your liking, gently lift the from the water with the wooden spoon and let the egg drain for a few seconds. Continue with remaining eggs. 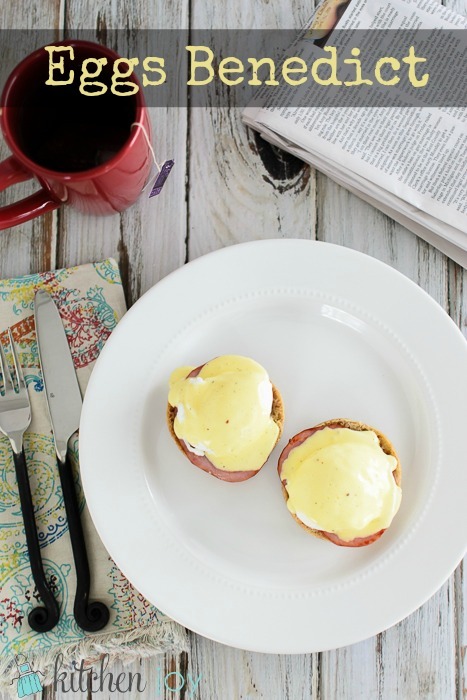 Now that you know how to poach an egg, put your skills to a deliciously good use! 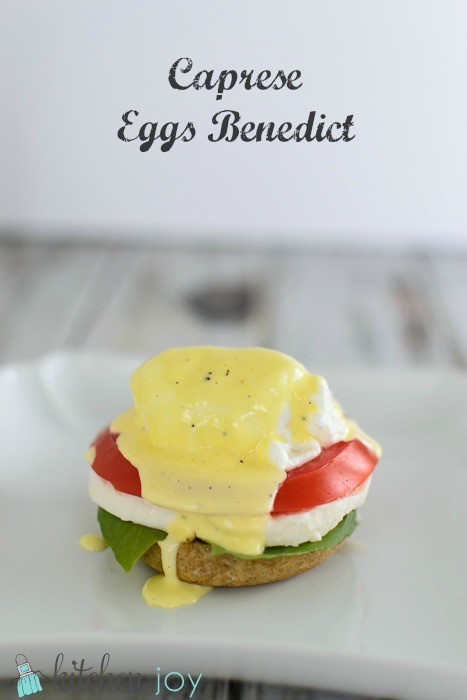 Caprese Eggs Benedict is my all-time favorite way to enjoy a poached egg.